A MindStir Media Blog | How to Publish Books: Why Self-Publish? I created this nifty infographic for MindStir Media self-publishing. 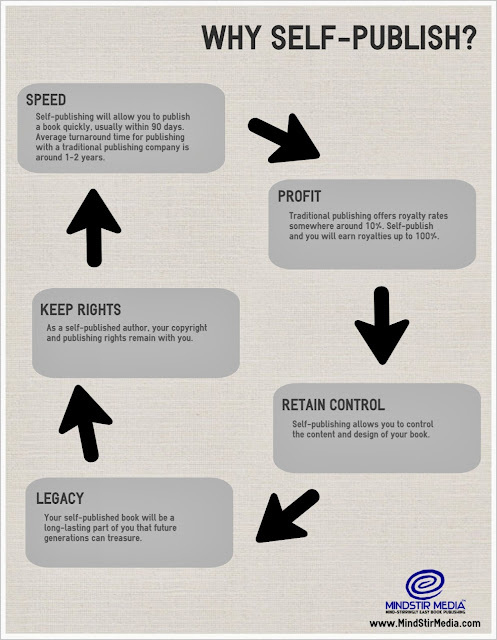 The graphic consists of 5 reasons why it makes sense to self-publish. Feel free to share!